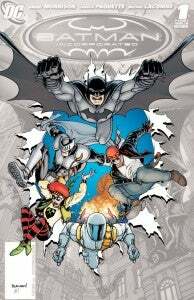 Around the time Grant Morrison began his long run on Batman in 2006, Frank Miller and Jim Lee were taking the character back to the same universe in which Miller's classic The Dark Knight Returns took place with All-Star Batman and Robin the Boy Wonder. Since that seminal Miller work saw publication twenty years before, his had been the dominant interpretation of the Dark Knight--a man nearly as mad as the villains he fought, except that his particular brand of obsession drove him to act as the hero rather than the villain of the story. 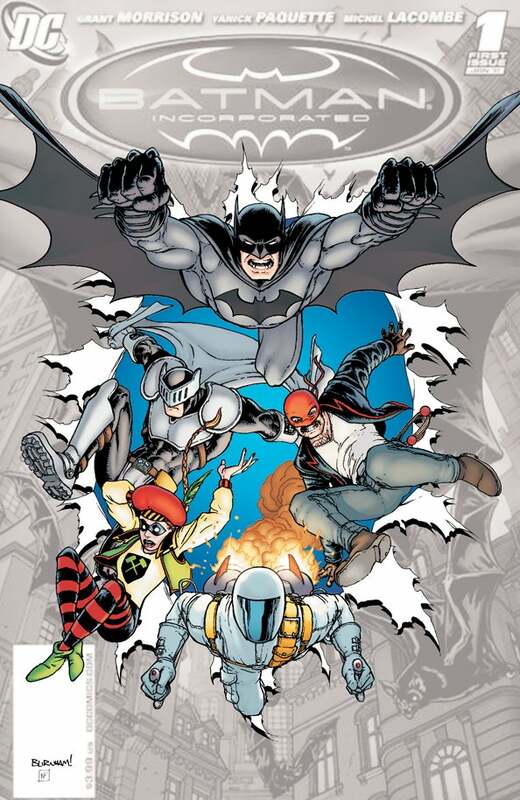 Grant Morrison, who had apparently taken that version of Batman as rote in previous works, said that when he started writing the character on an ongoing basis and doing some research into Batman's history, he couldn't get behind that version of the character anymore and that much of his run has been, in essence, a response to that version of the character which rejects the late '80s/early '90s version of Batman. "Taking [the character] seriously meant I had to throw out a few of the accepted ideas about Batman as a semi-unhinged, essentially humorless loner struggling with rage and guilt," wrote Morrison at the DC blog. "The totality of his history and accomplishments made that portrayal seem limited and unconvincing, so instead, my Batman was a true superhero at the height of his powers and the peak of his abilities, surrounded by a network of friends and associates, all of whom had been inspired by his lead. " How will this jive with his near future? What's to stop Batman becoming a truly humorless loner, now that it appears his son will be leaving Bruce's life? We've got four more months to find out, and then Morrison's half-decade ride with the character is done.